In Norse mythology Hugin (thought) and Munin (memory) are Odin's two ravens. 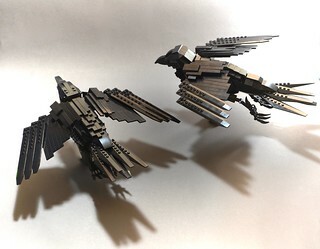 At day they fly over Åsgard and Midgard. At night they sit on Odin's shoulder and whisper in his ear what they have seen.